Hi everyone. I've been AWOL but that's because I've finished another book and I've been on the dreaded subbing market. 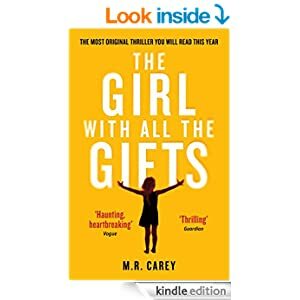 1.The Girl With All The Gifts by Claire North. I don't usually read books post-apocalytic thrillers, or indeed anything post-apocalytic, but I gave this one a chance as it was recommended by a friend. Britain has been invaded by a man-eating fungus that destroys humankind except a rare few. That's simply put, and is much more aptly explained in the book, thank goodness. The story revolves around a survivor, Miss Justineau and a ten-year old mutant who is neither one thing nor another (and can kill with just one bite). The themes of the story are down-to-earth, though: survival of the fittest; adult-child relationships; education. This very original story is a true thriller which kept me glued to every page with cliff-hangers that had me begging for more. I believe there's a film going to made of it, so you'll have the choice. Thoroughly recommend it. 2. 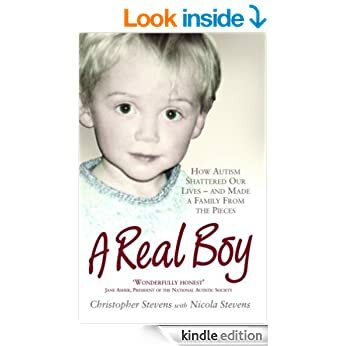 A Real Boy by Christopher Stevens with Nicola Stevens. I enjoy reading about autism and A Real Boy satisfied as well as amazed me. Satisfied because David is portrayed with honesty and amazed because David's development has been described with pure love. Although David loves climbing, has the singing voice of an angel, he is profoundly autistic. The tale unfolds David grows and develops within his autism while his parents do everything within their power to make his life as happy as it can be. I was deeply moved by the tolerance and deep love and understanding the Stevens show for their son as they come to understand that David can make hardly any sense of this world at all. Deeply moving. Next blog post I'll talk about why I've chosen to go small-press (well - I couldn't go to one of the Big Five because they don't want me!!!!) for publishing my new novel rather than self-publishing. Hey Susan! Good to hear from you. Good luck with the querying. Nice to know you're among the living - LOL! I know what you mean about the submission process. I'm currently in submission "hell" myself. Did you get my email? Would love for you to do a guest blog on Book Blather.